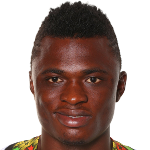 Ghana defender Rashid Sumaila believes he is picking up vital experience playing for Kuwaiti club Al Qadsia. The 22-year-old has already established himself as a regular starter under a month of joining the club on loan from Mamelodi Sundowns. 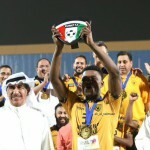 Sumaila was handed to Al Qadsia on a five-month loan deal for an undisclosed fee. He has since been an integral member of the team in both their domestic and continental campaigns. 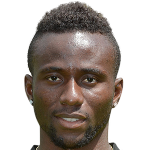 The former Asante Kotoko loanee who was part of Ghanaâ€™s squad for the 2014 World Cup says he is drawing vital lessons from the experience of playing in Asia. â€œSince I came here, I have got more experience about how the Asian competition is,â€ he told Sportscrusader.com. 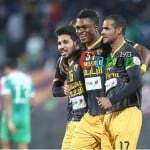 â€œWe played in the qualifiers of the Asian Champions League and now, we are in the Asian Federation Cup. â€œWe also have another competition â€“ the Prince Cup â€“ to compete in and the league is also ongoing.